Myopia progresses when there is continuous elongation of the eyeball. Myopia cannot really be cured, but its progression can be controlled to slow down. Myopia control treatments can induce changes in the structure and focusing of the eye to reduce stress and fatigue associated with the development and progression of nearsightedness. 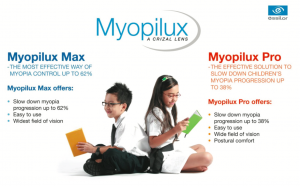 Why is myopia control important? 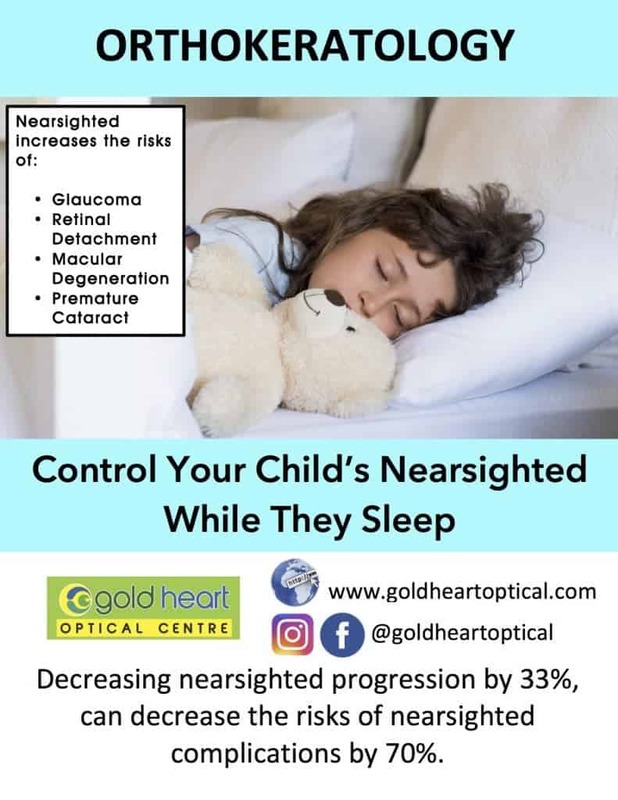 Because high level of nearsightedness has always been associated with serious eye problems later in life, such as glaucoma, early cataracts and even a detached retina. The patient has to be evaluated for the optometrist to know which type of myopia control management is appropriate. What are special designed multifocal contact lenses? These look like regular soft contact lenses but with the ability to alter how the light rays enter the eye, which in turn slows down the elongation of the eyeball. 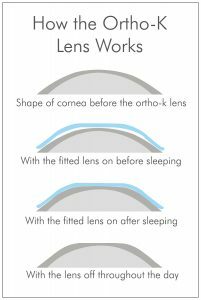 Orthokeratology is the use of specially designed gas permeable contact lenses that are worn during sleep at night (such as dental retainers) to temporarily correct nearsightedness and other vision problems so glasses and contact lenses aren't needed during waking hours. By altering the curvature of the transparent portion of the eye centrally, light entering the eye is altered which slows down the elongation of the eyeball. Myopilux lenses are designed to limit the effort in near vision and reduce the accommodation lag. This technology is based on more than 10 years of research. They are proven to reduce significantly the progression of myopia and is definitely better than prescribing normal single vision lenses. Researches in Spain, Japan, Hong Kong and Taiwan showed that children in the eyeglasses group had a significantly greater increase in the mean axial length of their eyes than children who wore the ortho-k contact lenses. The study authors concluded that overnight orthokeratology suppressed elongation of the eyes of children in this study, suggesting ortho-k might slow the progression of myopia, compared with wearing eyeglasses. In 2010, researchers from Australia, China and the United States presented data from a study of experimental myopia control contact lenses worn by Chinese schoolchildren for six months. The contacts had a special dual-focus lens design with full corrective power in the center of the lens and less power in the periphery. Participants were between the ages of 7 and 14 at the onset and had -0.75 to -3.50 diopters (D) of myopia, with no more than 0.50 D of astigmatism. A total of 65 children wore the experimental multifocal contacts, and 50 children wore eyeglasses. After six months, the children wearing the specially designed contact lenses had 54 percent less progression of their myopia than the children wearing eyeglasses.